Chillies on a farmer’s market in Antalya, Turkey. This is my entry for this week’s Weekly Photo Challenge with the theme FRESH! Ooooooooo, I think I’ll have to drink a glass of milk after just imagining a hot pepper that big! Triple yikes! Fresh and hot … a bit like me. *smile …. great shot. Gotta love them peppers. There’s a market or two around these parts that sells 10+ kinds of peppers when they’re in season. Yes. 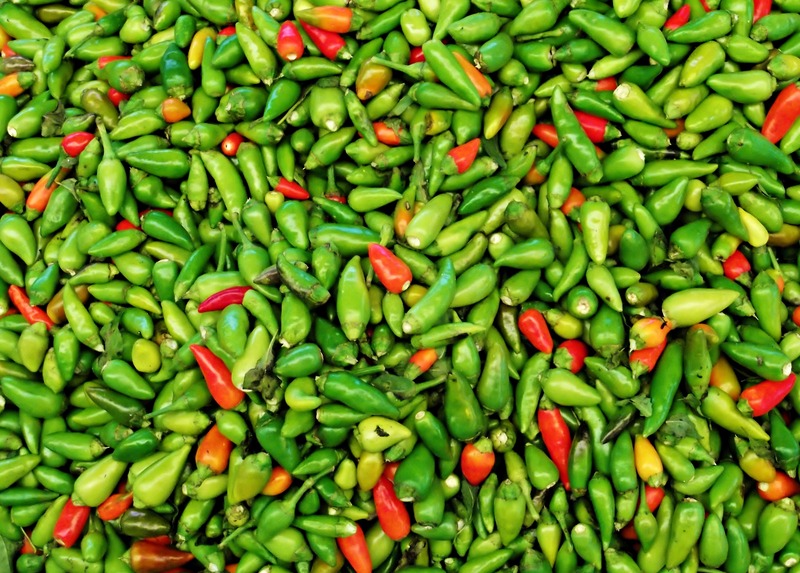 Ever had Thai chilies? Something like that. When I was a student, I shared a flat with students of the Asian languages (Korean, Japanese etc.) They let me sample “slightly hot” soups, which I would call an attempted assault. Oh wow! doesn’t get fresher than this!